What is a greenbelt? We get this question a lot - and it can have a different meaning depending on the circumstances and location of the home. More importantly, too many buyers become enamoured with the view & privacy - assuming it will always be that way. Home buyers coming to Texas from other parts of the country understandably may have preconceived notions as to what a "greenbelt" actually is... but they may be mistaken. In Texas, a greenbelt or buffer-zone is generally considered by most homeowners and buyers alike, to be a vacant patch or parcel of forested land, behind, or to the side of a home. Typically, depending on the location, greenbelts can be partially forested with trees, but the landscape can vary - some may contain large open spaces, public parks or grassland. Some greenbelts can be treed or forested, and may be used to not only provide a buffer between streets, or between commercial and residential properties, but also to create a network of trails throughout a community. 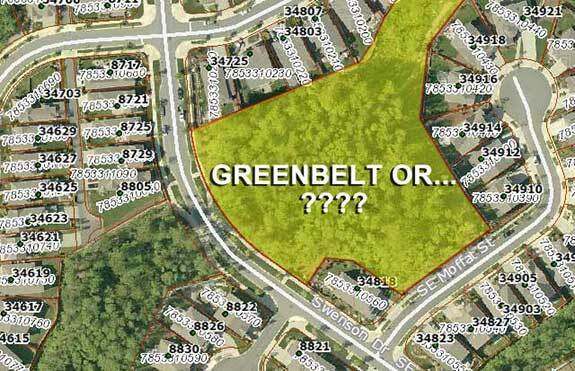 Buyer Beware: When a Greenbelt... Isn't! Unfortunately however, when most home buyers see language like "backs to a greenbelt" in an MLS listing description, they assume the vacant land adjacent to the home will remain permanently unchanged, providing the homeowner maximum privacy, and possibly preserving, or increasing their home's value. This is not always the case; far too many listings contain the term "greenbelt" when they should not. In our own listings, we do not use that terminology, unless we can VERIFY that the land is indeed a true greenbelt or open space - not to be deforested, developed, or otherwise changed to any significant degree. Many cities or counties can also have their own zoning in place which could change... but reversing the zoning from a true greenbelt, as dictated by the county, to land with the potential for development, would be a rare occurrence in existing residential areas. In fact, many greenbelts, buffer-zones, or "open spaces" may be zoned as such primarily because they are considered "environmentally sensitive" areas. These areas might include flood plains, creeks or dry wash areas. Regardless, it's never safe to assume anything. With all of this in mind, if a buyer sees the term greenbelt, green space, open space, forested land, private land, park, wetland, vacant land, etc. in any MLS real estate listing description, additional research is strongly advised - especially if one is considering the purchase of that home specifically due to the adjacent vacant land and the beauty or privacy it provides. Obviously, most buyers wouldn't want to purchase a home backing-up to a tranquil forest, only to see it bulldozed to make way for new homes or a shopping center a year later. True story... I quite recently helped buyers who were initially very interested in a home which backed to an otherwise peaceful patch of forest - that is, until they found out it was zoned for mining, and owned by a mining company! 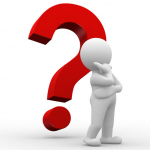 Curious about what type of land your current or future home backs-up to? One of the best resources for homeowners and prospective homebuyers is the county tax office where you can search by address or parcel number, or simply zoom in on the map and click on individual parcels. Plenty of details are available for each parcel of land.